Click to view the student introduction video. Financial Basics for High School and Beyond is a free service of CFNC.org that makes it easy to manage financial education on a class-by-class basis. With student-specific tracking and advanced data reporting, it's never been easier to tailor financial education curricula to the specific needs of each class of students. How you use Financial Basics is up to you: computer-enhanced "in the classroom" learning, online homework, extra credit opportunities, one-time seminars, or for any other purpose. Financial Basics is mapped to North Carolina financial literacy standards, so finding the right topic is always easy. Financial Basics is comprised of fifteen mini-courses, each of which is graded and can be assigned in any order. You're free to use any or all of the topics - whatever helps you reach your financial education goals. Each of your student's work is tracked automatically, so it's easy to verify that your assignments have been completed. Financial Basics also tracks aggregate participation for each class in real-time, helping you identify topics that may need further reinforcement. You're free to set up as many Classrooms as needed. In addition to mini-courses, Financial Basics also includes a personalized budget calculator, budget tracking tools, goal setting exercises, dozens of printable fact sheets, and a comprehensive library of entertaining Paying for College videos. Each student's work is also saved in a printable portfolio of achievements. 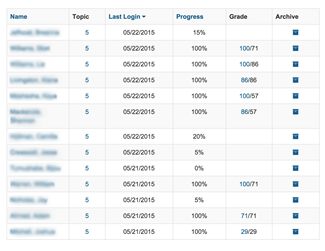 Course participation is tracked automatically for each student, including grades and missed quiz questions. Graph and export survey and quiz question responses for each classroom. Sign up for a teacher account. You'll receive a Classroom Code after registration. Give this code to your students and ask them to register at https://basics.financialliteracy101.org. You can then see their coursework and certification status through your teacher control panel. Using Financial Basics with more than one group of students? Create as many Classroom codes as needed. That's it! You can ask students to complete courses in any order, so it's easy to integrate Financial Basics into your curriculum. Individual student results and aggregate quiz reports are available in real time, helping you focus on topics that may need further clarification. Complete instructions and answers to frequently asked questions are available in the Support area of your teacher account. 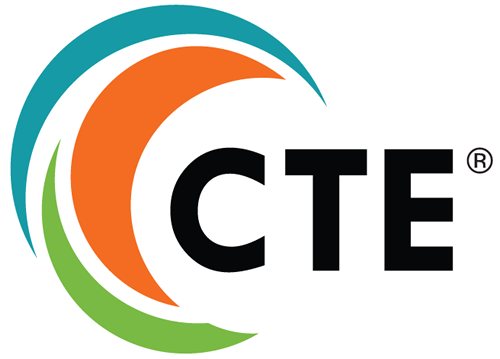 Financial Basics is now a recognized CTE credential. Click here to download our 2018 conference presentation.